Welcome one and all to another very interesting and hearty food post on Mastication Monologues! Today’s subject actually involves a type of cuisine that is as old as time and comes from an incredibly well traveled part of the world, the Khyber Pass. While this landmark might not evoke a reaction from most readers, it is actually one of the crucial geographic features to the shifting sands and roaming armies of global empires. It is a key link between Afghanistan and Pakistan, and has been transversed by every conqueror from Alexander the Great, Darius I of Persia (Father of the big bad Xerxes from the movie 300), Ghengis Khan, British colonial forces, and even to the modern day with the murky conflict with the Taliban and NATO forces. Not only was the Khyber Pass a route for war since time immemorial, but it also was a giant outpost during the heyday of the Silk Road. With all of these populations moving to and fro in the region, naturally they were going to leave an impression on the local cuisine. I mean, they were peddling seasonings to Europeans that we take for granted nowadays for imparting all of our food and drinks with immense amounts of flavor like black pepper, chili peppers, cinnamon, cloves, ginger, and even nutmeg to name a few. 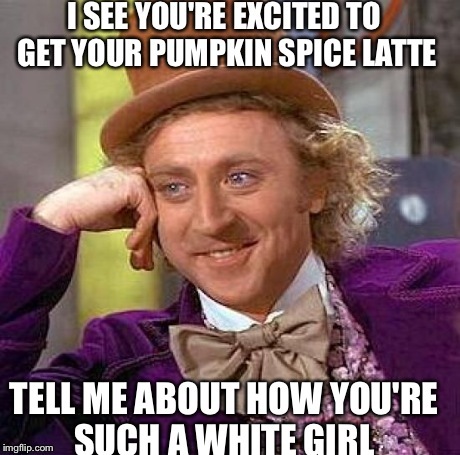 Basic white girls in Fall wouldn’t even be a trending meme in American culture if it wasn’t for the Khyber Pass! A giant historical stretch, I know, but a definite reality we have to deal with. Thankfully, when Janice and I visited the Oak Park location of the Khyber Pass restaurant chain, there wasn’t any pumpkin but plenty of spice on the menu. 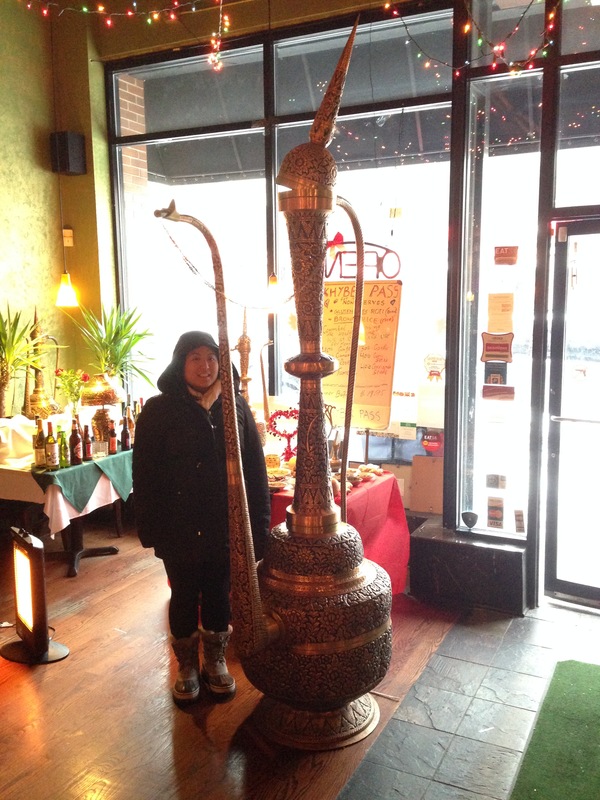 It was a cold and frozen drizzle kind of a day, so what better way to cut through the terrible weather than some soul-warming Indian food? We walked in around the lunch hour after finding some parking in the back, and it was not terribly packed. It was very welcoming with its warm colors and interesting decorations. We were quickly seated, and we noticed that they had a lunch buffet special for $15. Based on my experience with previous buffets, I didn’t have any qualms, so we informed the waiter we were interested in getting our money’s worth since we were starving. 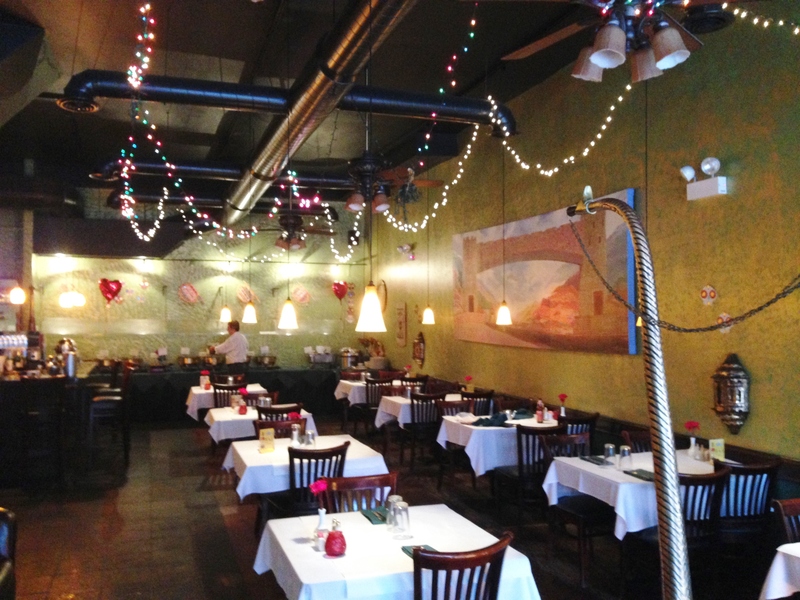 According to Khyber Pass’ website, they champion the cuisine of the Pathan people or more commonly known as the Pashtun in their language, Pashto. Their homeland spans the border between Afghanistan and Pakistan, and some famous Pashtun that you might of heard of include Harmid Karzai, the former president of Afghanistan, and Malala Yousafzai, the famous young lady who stood up to the Taliban for women’s rights. 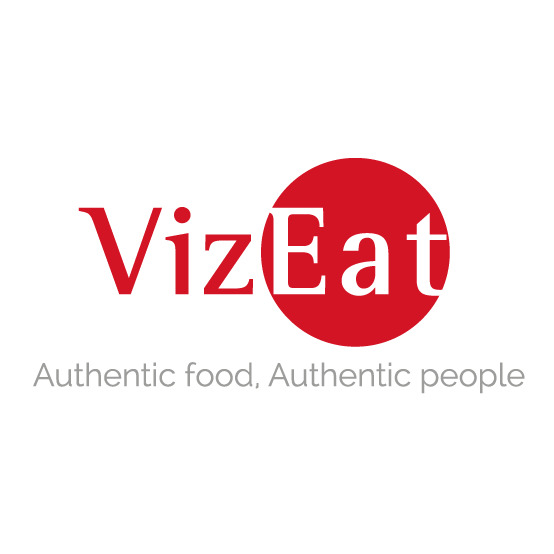 Clearly, it is a region that is not the easiest to live in, so their cuisine is similar to Indian food in terms of utilizing simple ingredients in a variety of ways with plenty of spice and flavor in every bite. 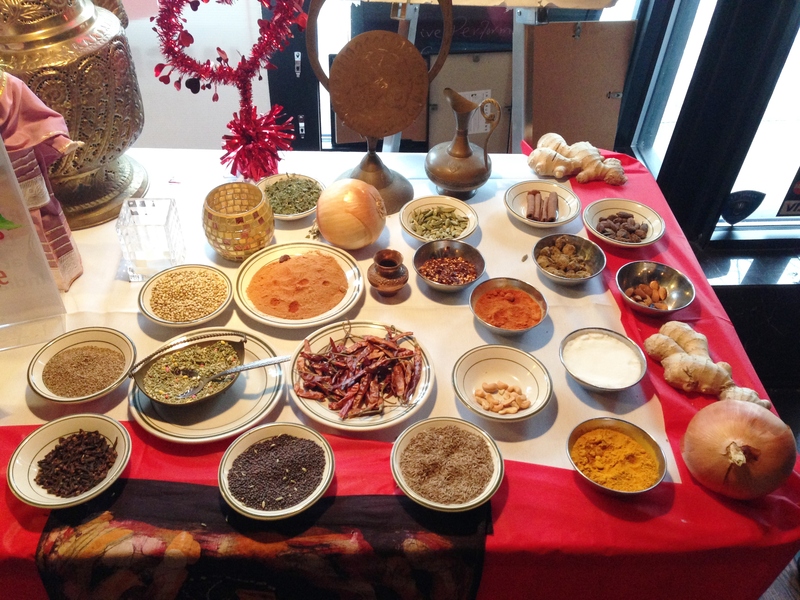 This was epitomized looking over the assortment of vegetarian and non-vegetarian dishes along with a healthy array of curries, salads, soups, sides, and entrees. We decided to try their half of a tandoori chicken ($12.95 or $16.95 for a whole) along with a side of naan bread to accompany our foray into the buffet. 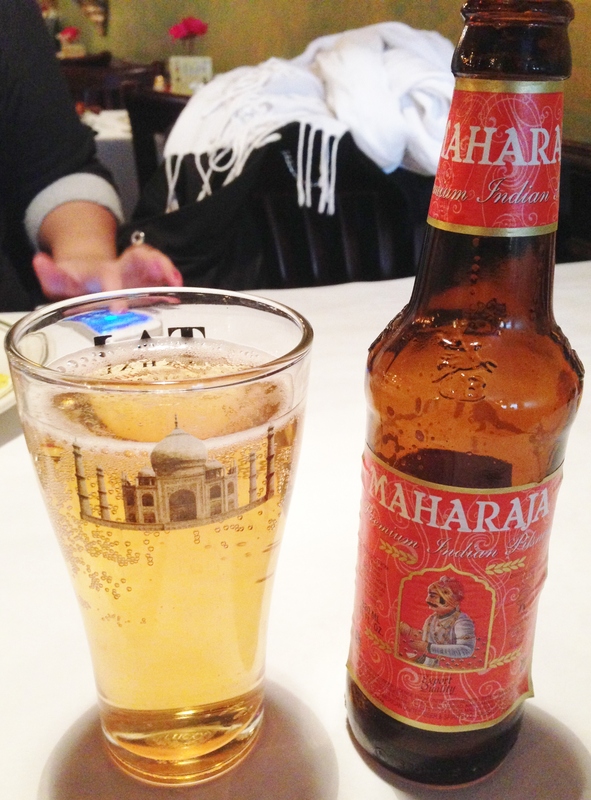 Before we received all of our food, I got a Maharaja Premium Beer to slake my thirst, and that’s all about it did. 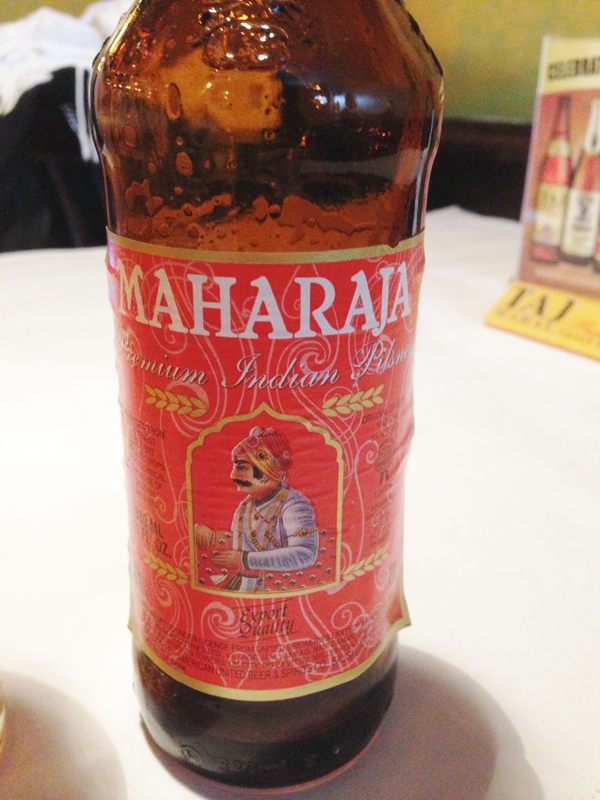 This brew from Mumbai was nothing of great note. It was a thin, slightly fruity pilsner that had a very faint, bitter aftertaste. I wouldn’t go back for another one. However, the tandoori chicken and naan looked great. 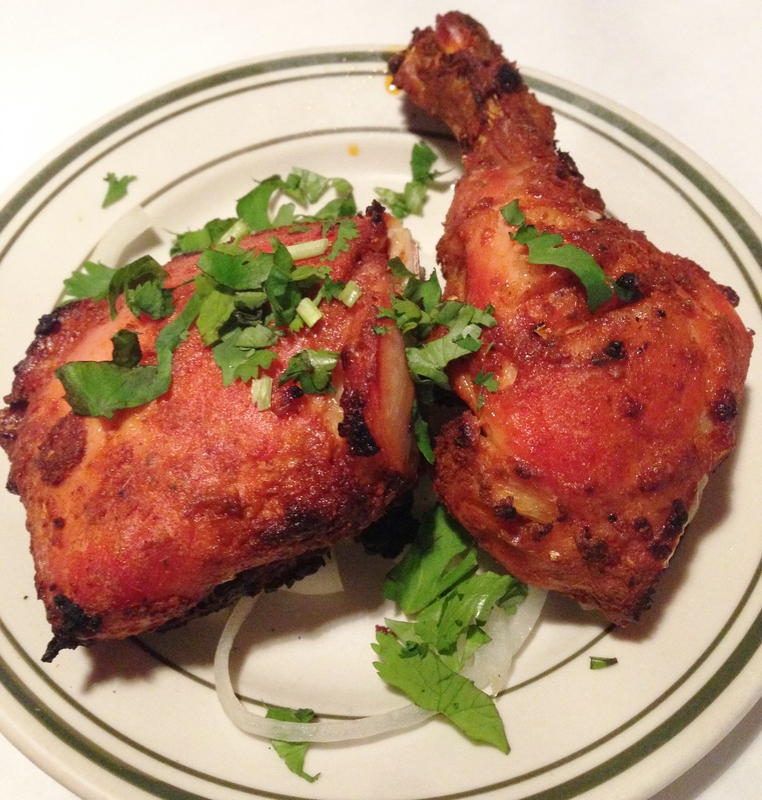 Tandoori chicken originally was popular in the northern region of India and Pakistan called the Punjab due to the cultural practice of every home having a charcoal fired oven called a tandoor. Just like in India, Khyber Pass roasted their chicken in a traditional tandoor after it had been marinated in yogurt, Kashmiri chilies, and turmeric. However, this chicken isn’t super spicy if you don’t have a tongue of steel. It is instead savory with swirls of flavor that are both umami yet earthy. The naan bread we had it with also has an interesting history. 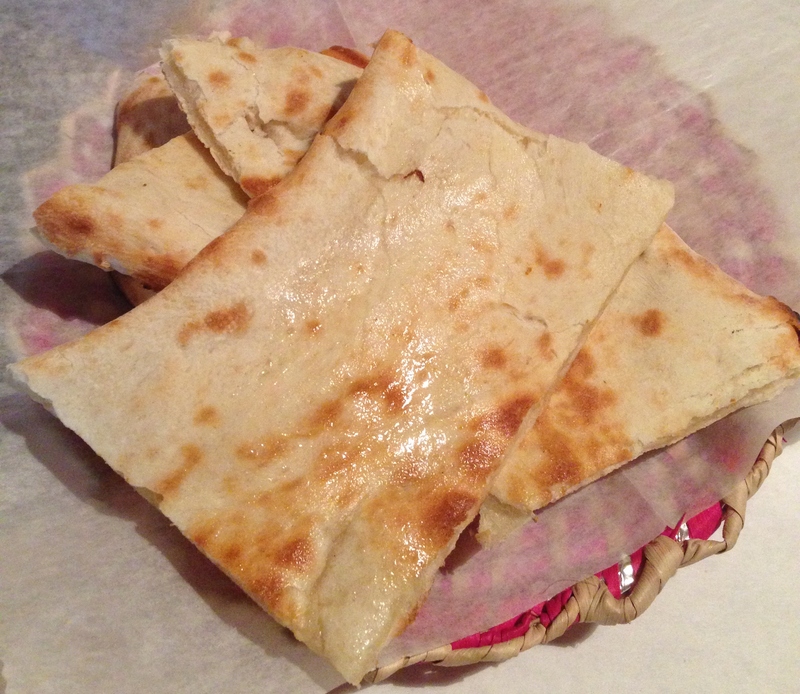 It seems like your typical, slightly leavened, flatbread that has been around since the beginning of time and the word originates from the Iranian word “n’n” which is a general word for “food” or “bread”. However, this particular type of bread only became popular beyond the Indian subcontinent and surrounding cultures when the Roma people, more commonly known as “gypsies”, brought it during their exodus across the Central Asian steppe all the way to Europe. Side note: Based on genetic blood studies done in Roma communities and studying the Romani language, all signs point to an origin in India, not Romania, Ireland, or even Egypt which is where their modern nickname came from. The Greek’s believed they came from Egypt, so they called the Roma Αἰγύπτιοι (Aigyptioi) or “those from Egypt” which then eventually made its way to the Middle English “gypcian“. Whatever they call themselves, I can’t get enough of their bread. It has more body and texture contrasts than a pita but still has its strength when dealing with soupy curries. Khyber Pass’ naan had both a lightly buttered, crunch exterior that gave way to a moderately chewy center that sopped up all of the delicious chicken juices and the plates we got from the buffet. 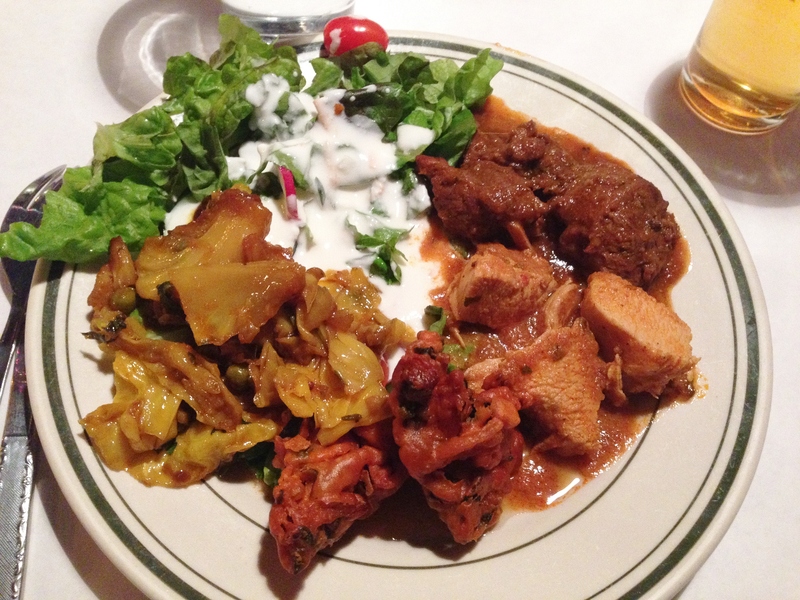 My first plate was a mix of different items from their regular menu including: vegetable pakora ($5.50), green salad ($5.95), chicken curry ($11.95), bhuna gosht (lamb in a light spicy sauce), bengan bhurtha (stewed eggplant; $10.95). The pakora were little, deep fried vegetable fritters that were rich with flavor but not super greasy. Plus, the smooth breading was very different than typically Western fried foods that is flakier. 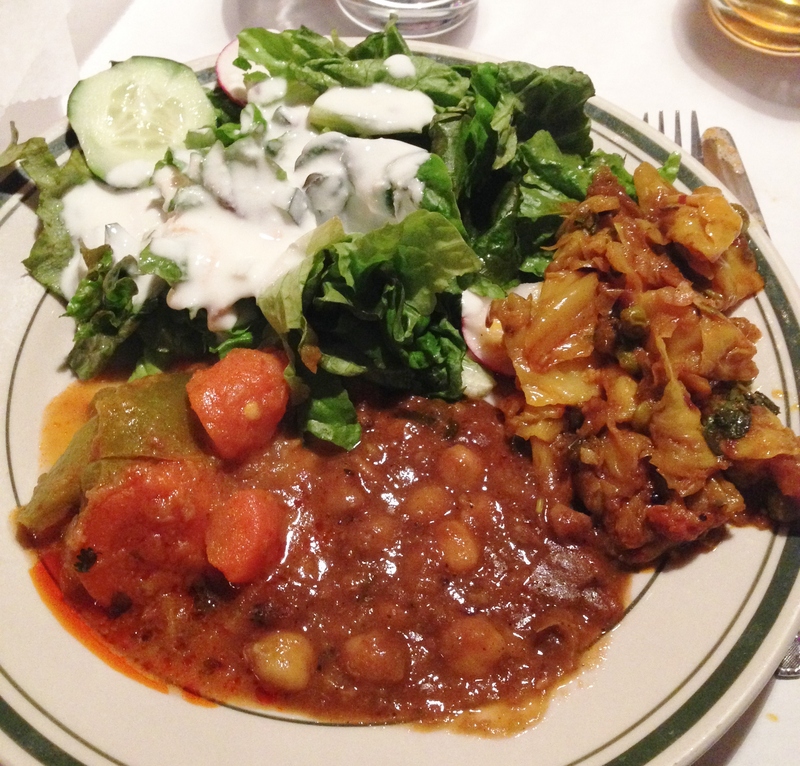 Surprisingly, their green salad lived up to its name, even more impressive that it was part of their buffet, since it was bursting with fresh, verdant veggies that I topped off with the slightly tangy raita yogurt sauce. The chicken curry was competently made but nothing to rave about. I felt that the food overall wasn’t super spicy, so I asked them to bring some sort of hot sauce. They brought me a Sriracha knock-off, but I told them that I wanted what they, i.e. the South Asian staff, ate. Next thing I know, I was greeted with a cook inspired hot sauce that looked nuclear from the bright orange yellow that was emanating from the bowl. I put it on my chicken, and it was amazing. 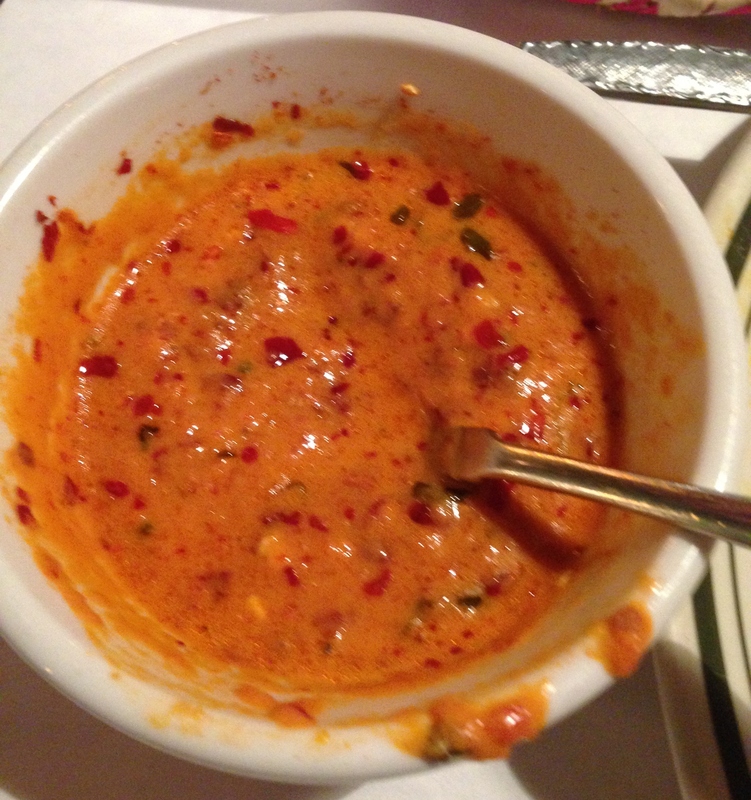 It was a coconut based sauce that up on the vindaloo level of spice that let me know that I, a real chilihead, was actually eating something spicy. They were shaking their heads when I wasn’t dying from heat stroke, and that added to the long list of people from spicy food cultures being flabbergasted at my spice tolerance. Yet, I think that it offers a more authentic experience that isn’t watered down for the locals. Tongue searing spice aside, I was definitely into the bhuna gosht or stewed lamb. It added the gamey dimension that comes with lamb and fused it with a cumin and curry sauce that took it to another level of flavor awareness. It was the clear standout on my plate and paired perfectly with a hefty piece of naan for some finger food that was finger licking good. The bengan bhurtha was a close runner up in terms of flavor. It consisted of minced eggplant roasted directly over a fire that then was stewed with cilantro, chilis, and onions. The smoky flavor from the grill was unlike any other eggplant I had ever tasted, and it was melt in your mouth tender. My second plate wasn’t as over the top as the first with dal mukhni ($10.95) and stewed vegetables as the only new entries. The dal mukhni was supposed to be a four lentil stew, but it seemed quite heavy on the chickpeas. I wasn’t impressed by it or the dal mukhni and should have gotten more of the meat dishes and bengan bhurtha. Unfortunately, by the end of the second plate, we were stuffed and had no more room for dessert sady. 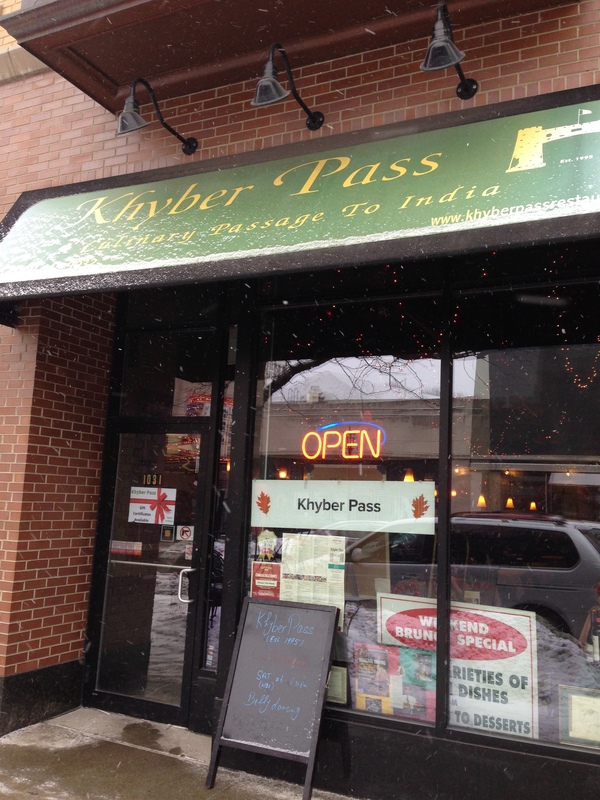 However, Khyber Pass left us with full bellies and wallets before going out into the cold. 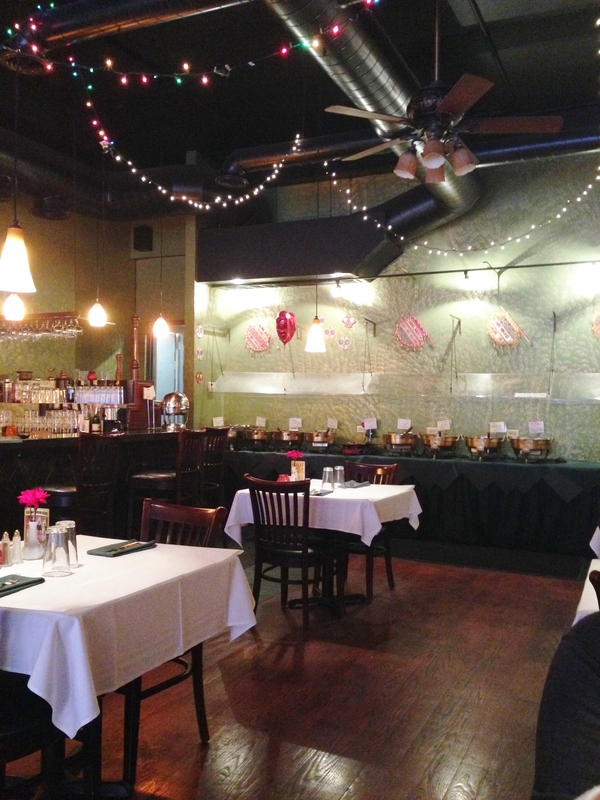 So if you find yourself downtown or in Oak Park and are looking for an establishment with typical Indian food prices that aren’t the cheapest in the world but with plenty of authentic and unique dishes, I suggest swiping right instead of left on Khyber Pass! 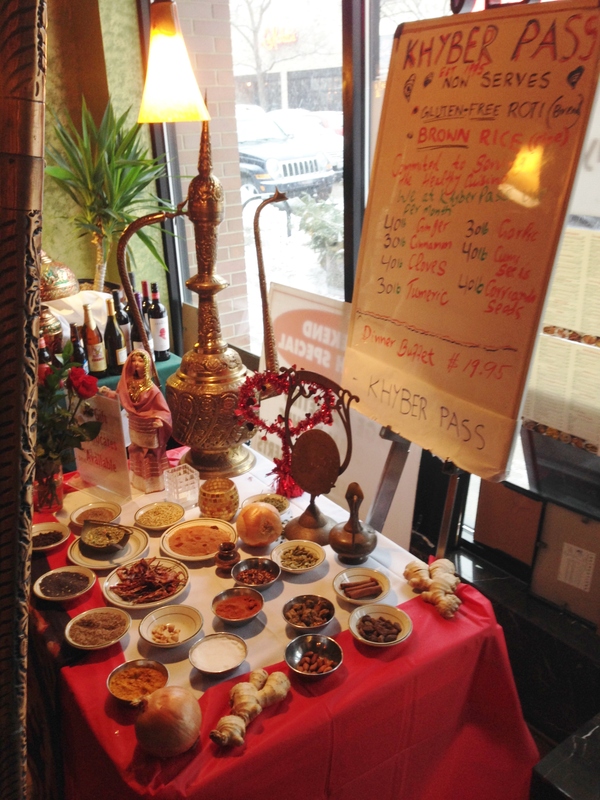 Posted in Indian, Southeast/Southern Asia Cuisine and tagged Afghanistan, Beer, bread, chicken, fried, India, lamb, lentils, naan, Pakistan, Pilsner, sauce, spice, stewed, vegetables. Bookmark the permalink.